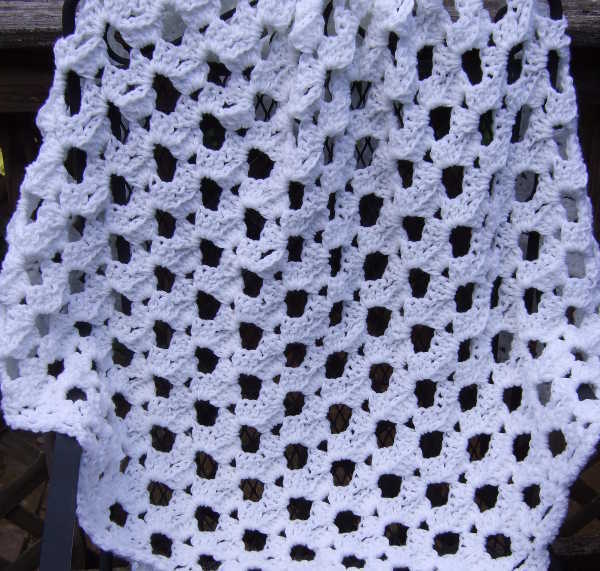 I knew about their wedding for a while, but I let the time slip up on me. 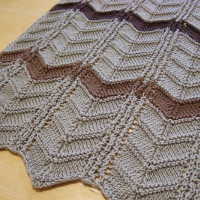 They were going to use dark earth tones in their home and had a casual style. 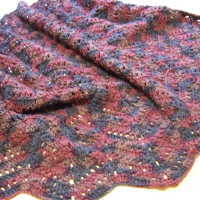 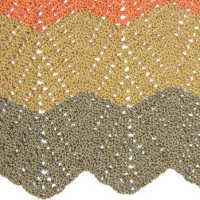 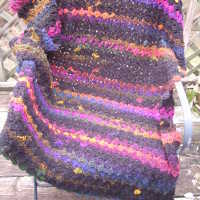 I love Lion Brand Homespun for afghans because it is so soft, but looks nice and washes well. 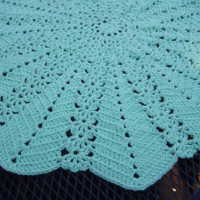 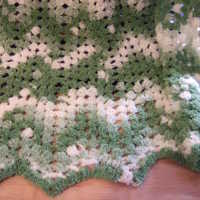 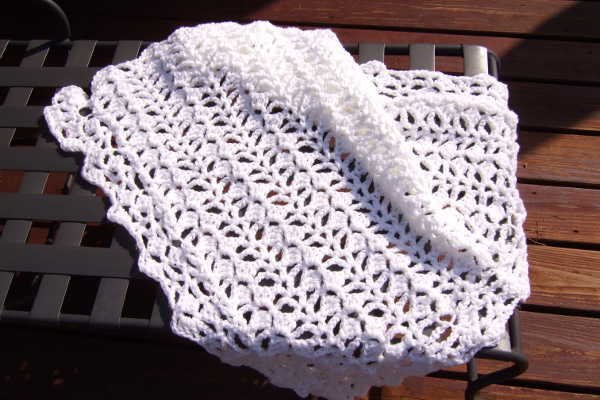 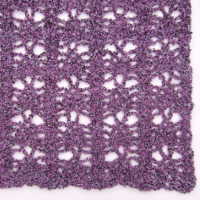 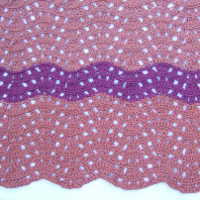 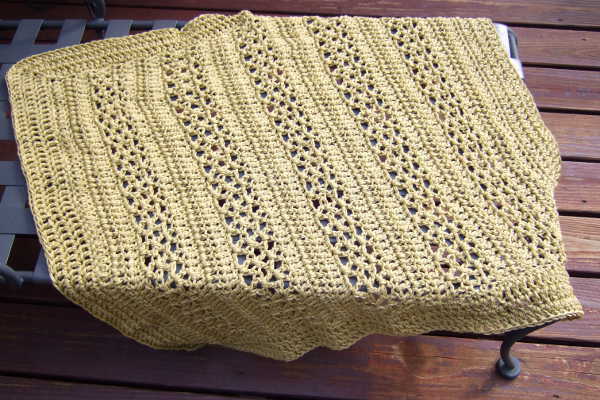 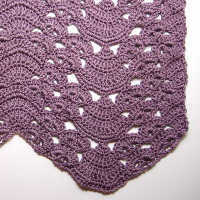 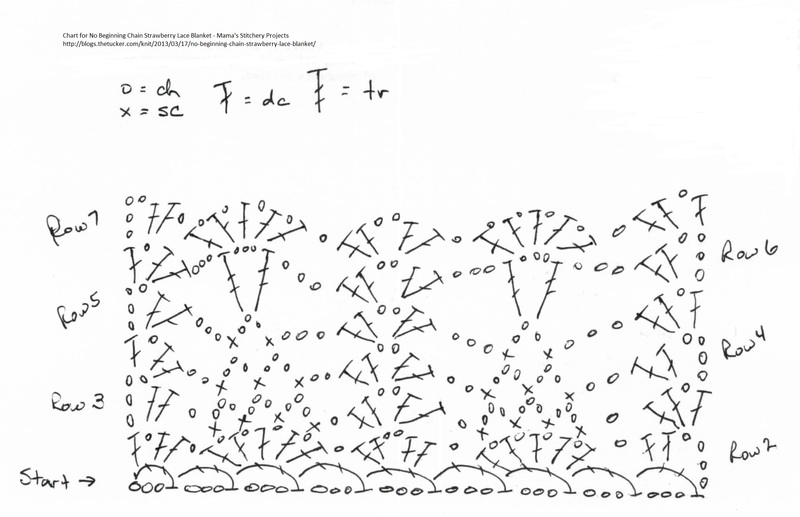 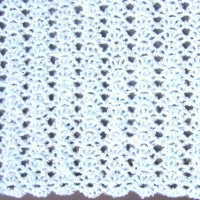 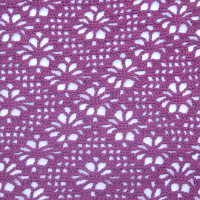 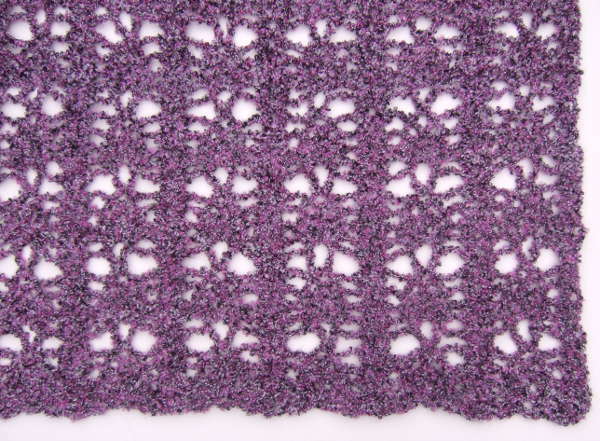 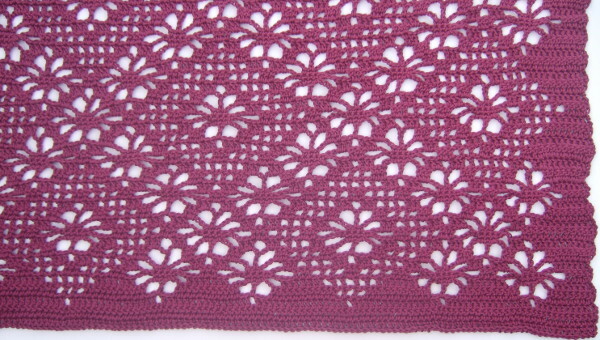 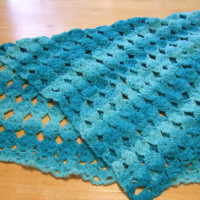 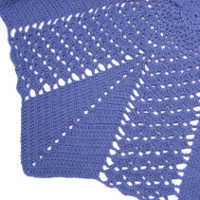 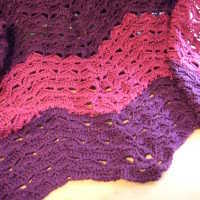 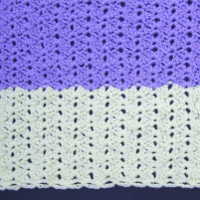 The only problem with Homespun is that it is not fun to crochet, so I usually knit it. 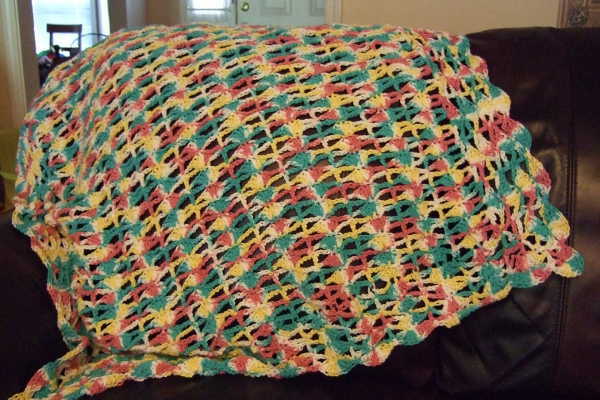 I’m a faster crocheter than knitter and needed a fast project, but really wanted to give them a full sized throw. 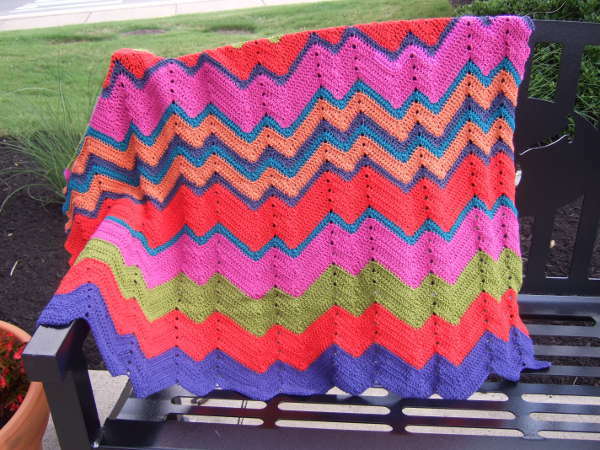 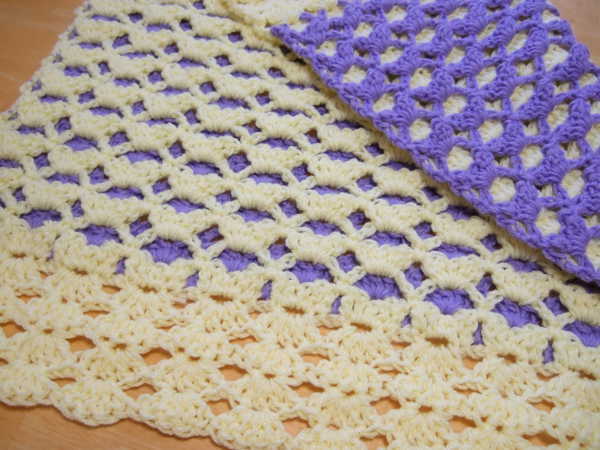 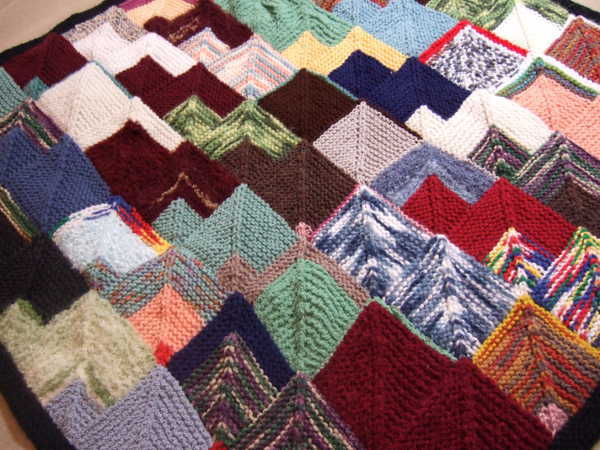 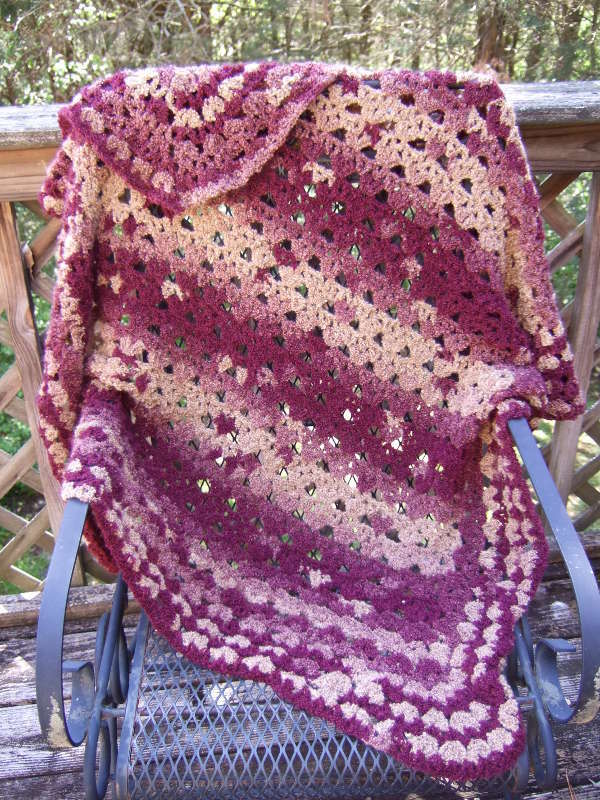 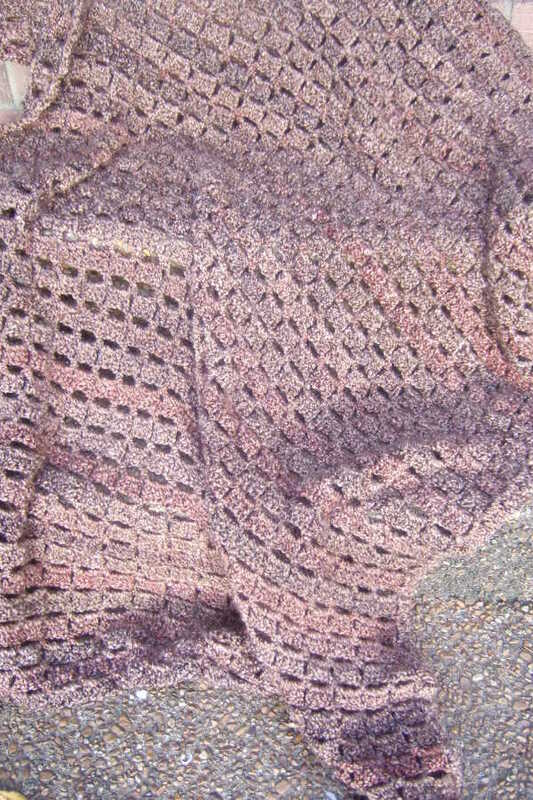 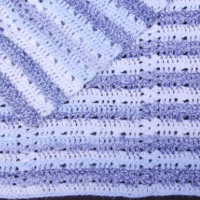 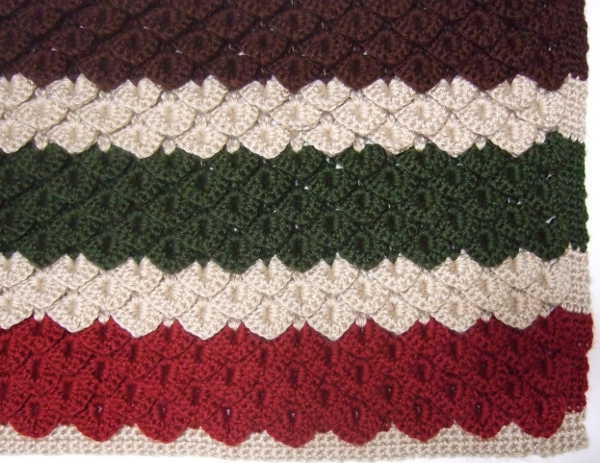 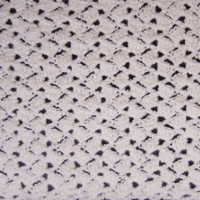 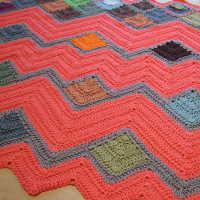 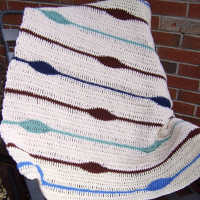 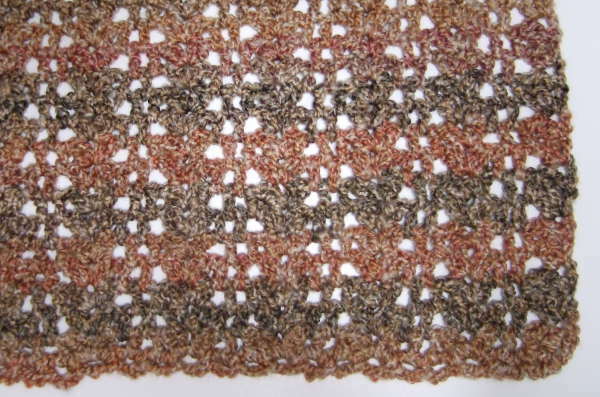 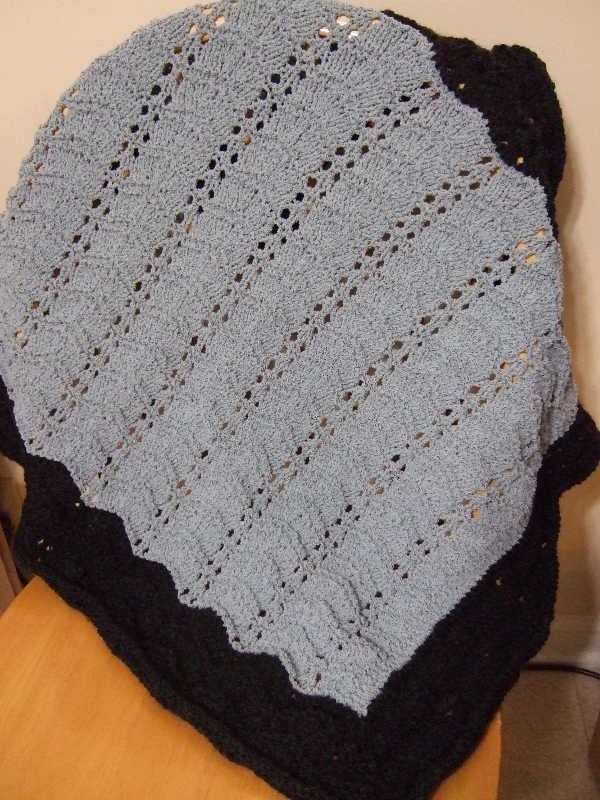 I created this pattern with these things in mind – No Beginning Chain Bricks Afghan. 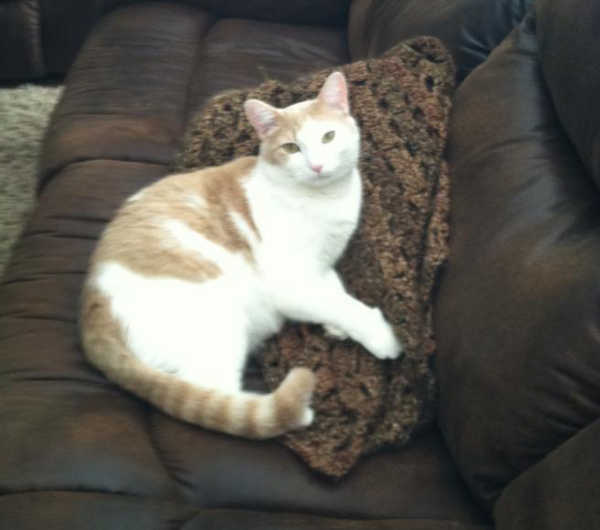 Erin and Stan loved the blanket, but so did their kitty.